BoostHerbs has strived to enhance your online shopping experience promoting the benefits of Nature's Sunshine herbs and supplements. 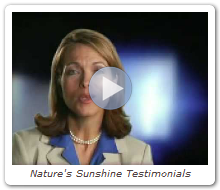 Nature's Sunshine Products has demonstrated a commitment to using only the finest raw materials available. Time and time again, we hear stories of people who have tried another brand only to come back to us because they just weren’t getting the results they had experienced with our products. Helps soothe irritated tissues.Encourages the entire respiratory tract to gently cleanse itself.A.. Provides nutrients that support the respiratory system in its battle against allergens, pollutan.. Provides minerals and companion compounds that help nourish the structural and nervous systems.C..
Soothes frayed nerves by providing healthy doses of the B-complex vitamins. ?Aids in relaxation an..